This Gents watch is designed to handle the rigors of an active outdoor lifestyle. The black face combined with glow hands & markers make for high readability in low light conditions. The face also has compass markers. This watch has a uni-directional rotating bezel for diving. The day of the month is displayed on the face. 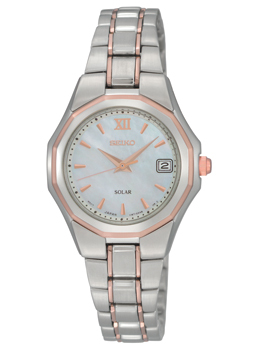 The stainless steel band is durable and long lasting. This watch has a automatic movement. Meaning it is a mechanical watch in which the mainspring is wound through the natural motion of the wearer. This watch will hold a charge for approximately two days when not being worn. Though not as accurate as a quartz watch a well cared for automatic watch can last a very long time; since there is no battery the back case is never opened helping to keep the water resistance intact for a long time. Special winding boxes are available to keep the movement charged when not in use; please call or email us for more information. 200 meters – For skin and scuba diving, usable up to indicated depth. 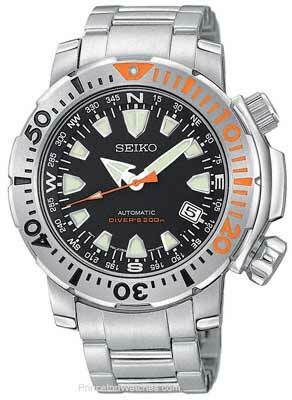 Founded in 1881 by Kintaro Hattori, Seiko originated in and is still located in Japan. 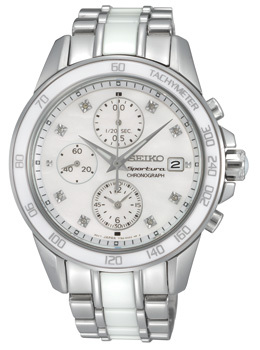 Seiko produced the first retail Quartz watch and later the chronograph. 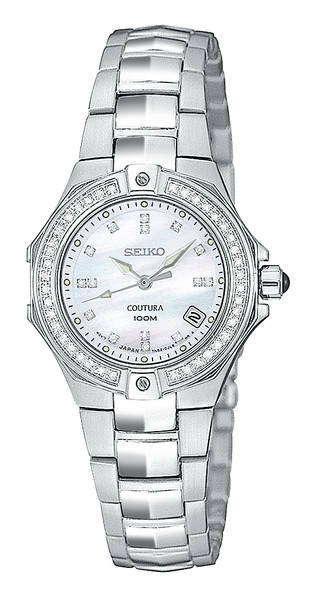 Seiko has been an innovator in the watch industry introducing many new technologies over the years. 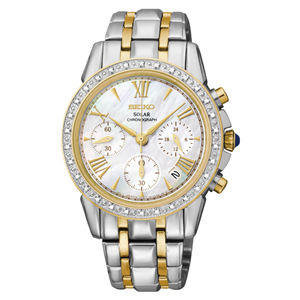 Seiko watches include a 3 year limited warranty.